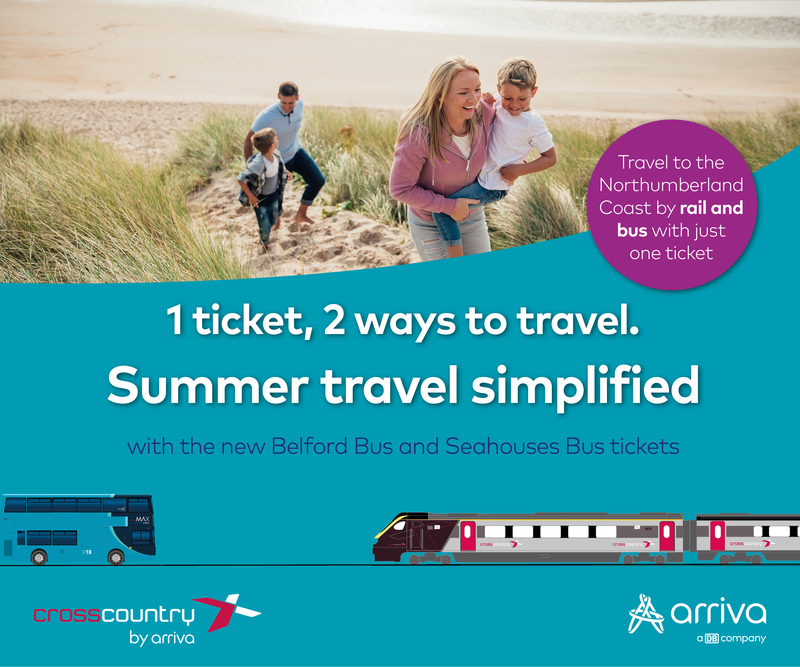 Whether you’re a North East native looking for a day trip a stone’s throw from your front doorstep or a visitor from further afield looking for a well-deserved break, Northumberland’s vast and widely recognised rural landscape is the first place you should look to when planning your trip. With summer in full swing, there’s no better time to visit Northumberland’s National Park, heritage sites, coastlines and major natural landmarks than right now. In today’s post, we’re sharing 5 of our favourite hotspots in the area that are guaranteed to deliver rest, relaxation and unrivalled tranquility. Northumberland National Park is fortunate to be home to England's cleanest rivers and air, as well as its most unpolluted night sky. Fit to burst with historical finds and Roman remains, England’s northernmost national park covers more than 1,030 square kilometres of luscious countryside and beautiful, hidden-away destinations. Tucked away on Hadrian’s Wall you’ll find England’s 2016 Tree of the Year in the hillside dip fondly known as the Sycamore Gap, widely known as Kevin Costners tree in Robin Hood Prince of Thieves. Start at the visitor centre at Housesteads and begin your walk up past the Roman fort, along the Roman wall footpath and past Sycamore Gap until you’ve come full circle to the place you started - just in time for a cup of tea before exploring further. For more adventurous walkers, travel a little further afield by car to the highest point in Northumberland, The Cheviot Hills, where some even claim that you can see Edinburgh in the distance on a clear day. An unspoilt, secluded landscape, home to hidden waterfalls and astonishing views, Northumberland’s North Pennines is the second largest designated Area of Outstanding Natural Beauty (AONB) in England, and it’s not hard to see why this area has achieved such international renown. Filled with wildlife, the North Pennines is a great place to immerse yourself in nature - with many opportunities for spectacular walks, which can be further appreciated when riding horseback across the rugged landscape. If, after spending your day walking, you fancy doing something a little less active, nearby Derwent Reservoir in Durham, provides a great place to sit, fish and watch the world go by - and also makes a fantastic picnic spot for families and solo travellers alike. The largest man-made lake in Northern Europe, Kielder Water & Forest Park is widely recognised as a great place for visitors looking to get stuck into activities such as cycling, water sports and wildlife watching, but also for those excited about the prospect of peace and quiet that the lack of phone reception affords them. Water activities, cycling and walking routes and are just a few of the many things you and your family can enjoy here. Or sit back and enjoy the largest area of protected night sky in Europe which marks the first of its kind in England, and the fourth largest protected area of dark sky in the world - in an array of accommodation, from camping and caravan sites to lodges and nearby hotels. Tucked between the Scottish border and the Cheviot Hills lays the Ford and Etal Estates, home to the Joicey family for over 100 years. Nowadays, with over 20 attractions to explore, this area provides an action-packed day out where visitors can take a ride on a steam train, have a go at baking bread in the Heatherslaw Mill and visit the Heavy Horse Centre where the horses’ ancestors were once known to work the land. Hire a bike and explore at your own pace, taking in the many hidden attractions in this farming community. There are options galore when it comes to things to do, and the stewards of this historical village continue to restore and maintain the integrity of the landscape - making it a beautiful place to visit, however long you’ll be there. 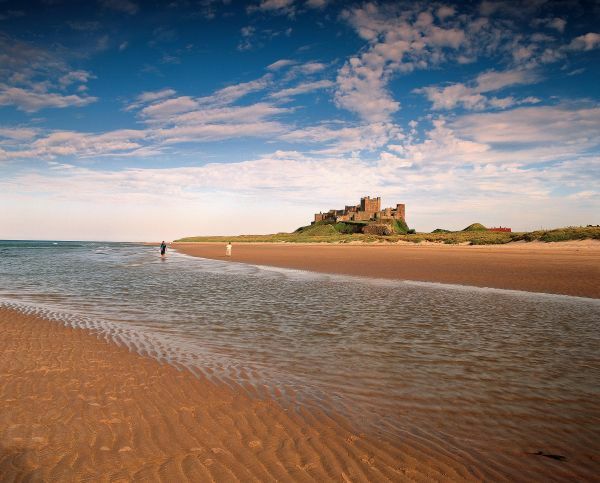 Explore Northumberland’s vast, white coastline from beautiful and unspoilt Bamburgh beach to the Holy Island of Lindisfarne. If you’re looking for picturesque landscapes, historical remains and total seclusion, Holy Island is the place for you. Because of tide times, those who are lucky enough to book accommodation on the island are able to experience complete peace and quiet, as day visitors leave the island before its tide covers the causeway and cuts it off from the mainland. Just down the coast, you’ll find one of the North East’s top surf spots, opposite David Attenborough’s favourite place to see nature at its best in the UK - the Farne Islands. Spend the day picnicking on white beaches overlooked by grand sand dunes and the iconic Bamburgh Castle, before taking a boat trip from Seahouses to the Farne Islands to watch the fascinating wildlife for a perfect day out. Northumberland is a paradise not to be missed this summer. Whether you’re looking for scenic walks, fun-packed family days out or a peaceful mini break surrounded by wildlife and nature, Northumberland has something for everyone. Author bio: Paul Richards is a long-time botanist and founder of Herbfarmacy - an online retailer selling natural skincare and beauty products for all skin types that are packed with herbs grown on their farm in Herefordshire.